One of the most common tools used when breaking into a safe is a drill. Typically a safe cracker will attempt to drill a hole through which he can observe the locking mechanism and attempt to bypass it. Safe makers have developed numerous ways to fend off such attacks over the years. Thick doors: The most obvious countermeasure is to make the safe door as thick as possible. 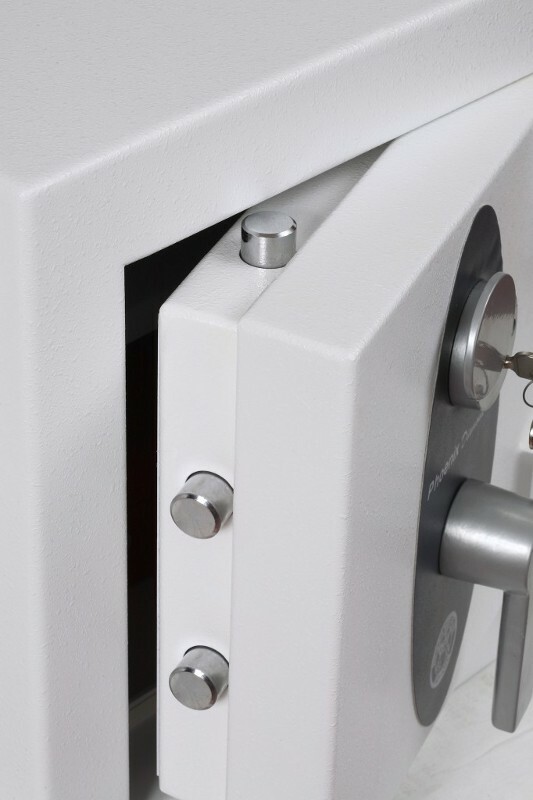 Most safe doors – particularly on certified security safes – are at least 10mm thick. Time is of the essence for the burglar, and the longer it takes to drill into or through the safe door, the greater the chance of him being captured. Drill resistant materials: Not only is the safe door thick, it is also likely to be made of a drill resistant material or will have layers of such material within it. These materials are specifically designed to blunt drill bits, meaning a burglar would have to constantly stop to change bits or drills. Particularly strong drill resistant materials are used to create anti drill plates. These typically protect vulnerable points such as the locks and boltwork of the safe. Various materials have been used as drill resistant plates over the years, including copper and cobalt. Even a diamond tip drill will quickly blunt itself against such materials, again meaning that a burglar will require several bits. He may even require several drills, as the electric motor may well burn itself out long before the drill penetrates the plate. A burglar must also be mindful not to trip the relocking device built into the safe door. The exact workings of these may vary from manufacturer to manufacturer, but they usually consist of a set of secondary locks attached to a sheet of glass or plastic. If this glass is cracked or broken, the secondary locks snap into place, pinning the main bolts into the locked position and completely sealing the safe. Other common protective features that may be included in the door of a safe are handle clutch mechanisms. These disconnect the handle from the locking bolts when the safe is locked, meaning that forcing the handle won’t force the lock to open. Anti-pry bars are also common and make it almost impossible for the door or its hinges to be forcibly opened with a crowbar or other similar tool.